Type Of Packing: Transparent Poly Bag,You Can Put Your Company Logo in Transparent Poly Bag Very Easily. 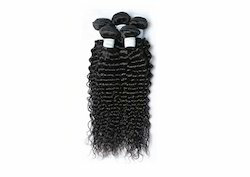 Length: 6" 8" 10" 12" 14" 16" 18" 20" 24" 26" 28" 30"
Length: From 8" to 34"
We provide best quality in market, we use only 100% Indian Remy virgin human hair in different size , color and texture. Our products are free from lices, neat and clean., we gave guarantee of our hair that our hair will not be tangled or shedding.